The BIGGEST thing to hit the Warhammer Universe in a long time. 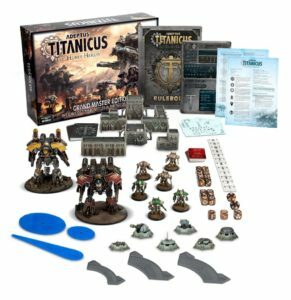 Of course we’re talking about Adeptus Titanicus this week. This is right up our alley with amazing looking miniatures and our strong desire to move super war machines around the table. We review the rules for this cool new game in this episode. Ricky and Paul go nuts about Adeptus Titaticus this week. Ricky is all about the Titans and owns a few of the full sized ones and is a know Knight player. Needless to say he is excited about this release. The Grand Master Edition of this set gives you a TON of stuff and enough for you and a buddy to start playing the game as soon as you get your figures assembled. 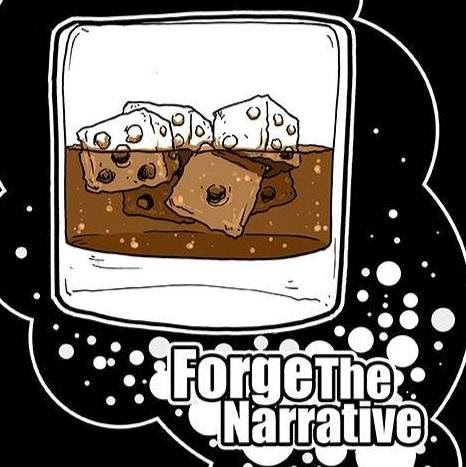 This is not a ‘skirmish’ game like we’ve seen from GW recently. This is a full on table top game similar to 40k in approach and length of play. 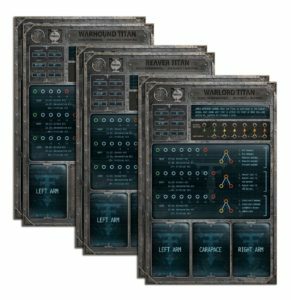 You are able to ‘manage’ your figures in a completely new way due to the Command Cards. This gives you more than just a wound tracker. You do get the sense that you’re a Titan Princeps deep in the heart of the Titan.